Longmont, CO, SB Matrix, LLC D/B/A TerraGold Plus (https://terragoldplus.com/shop-products/) announces their 2019 strategy to expand into more brick and mortar retail stores. CBD or Cannabidiol has gained some serious attention over the last year. People are adopting it into their lives to help alleviate pain, inflammation, anxiety and a variety of other ailments. TerraGold Plus is trying to make their products more readily available to consumers. CBD oil has primarily been sold online directly through branded websites, but more and more online wholesalers are working with brands as they have a broader ability to sell products to customers. Chief Entertainment Officer, Russell Stone, understands this need. "At TerraGold Plus we have a mission to provide high quality CBD products to the people who need it the most. We want to focus our attention primarily with that goal in mind. Yes, we have a branded store to sell products, but we want to work with other wholesalers who have a bigger reach and we can serve more people and help make their lives better." CBD oil products are now available in every state and can be found at natural grocery stores, apothecaries, spas, salons, and medical practitioner offices. These practices are finding out that their patients and customers are seeking natural remedies and want to purchase products from trusted people. "There are a lot of CBD companies in the market right now" Mr. Stone added, "It's hard to distinguish which company to buy from. At TGP we understand we have to earn that trust and there is no better way than for people to purchase the product from their local store or doctor." ,The stigma around CBD is lifting and more and more doctors are willing to either recommend it or carry it in their offices for people to try. TerraGold Plus is now available in various natural food stores, dentist, chiropractic and doctor offices in Colorado, California, Illinois, Florida, New York, Texas, Wisconsin, North Carolina, and Atlanta. 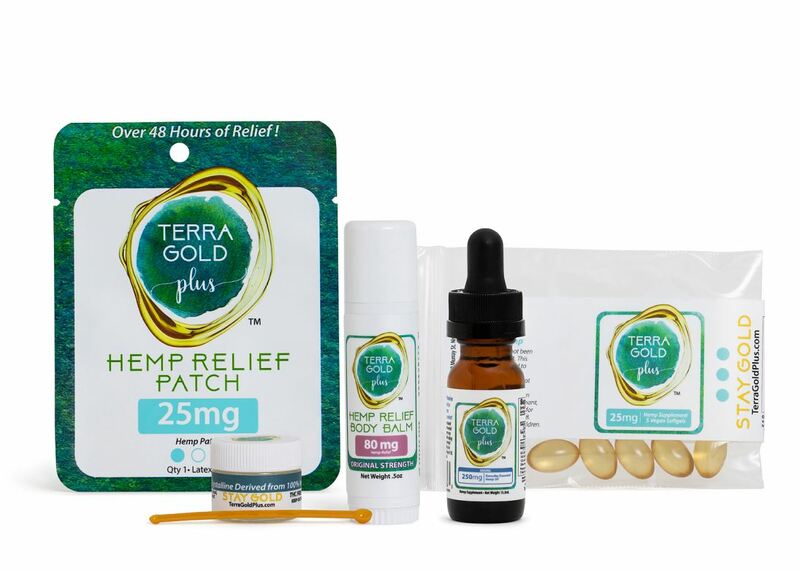 TerraGold Plus is a family owned business dedicated to bringing you the best hemp-derived products on the market through a wide product line consisting of body balms, CBD patches, tinctures, vegan softgels, isolate and more. Please visit www.TerraGoldPlus.com to learn more.